Elizabeth Sarkel, a junior biochemistry and molecular biology major from Columbus, Ohio has been named a 2017 Barry S. Goldwater Scholar for excellence in science. Sarkel was one of 240 students from around the country to earn a Goldwater Scholarship for the 2017-18 academic year. 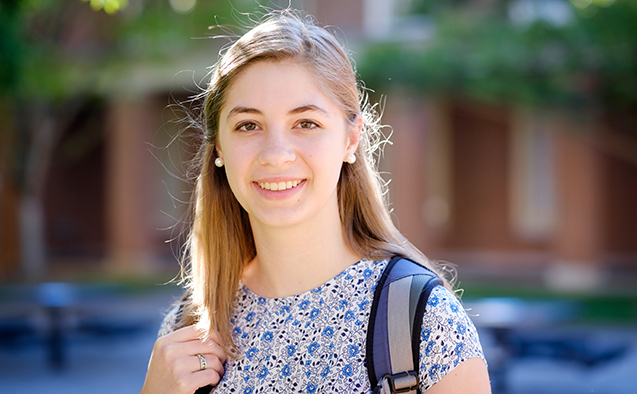 Sarkel was selected as a Goldwater Scholar based on academic merit from a field of 1,286 natural sciences, mathematics and engineering students from 470 institutions nationwide. The Goldwater Scholarship is the premier undergraduate award of its type in these fields.